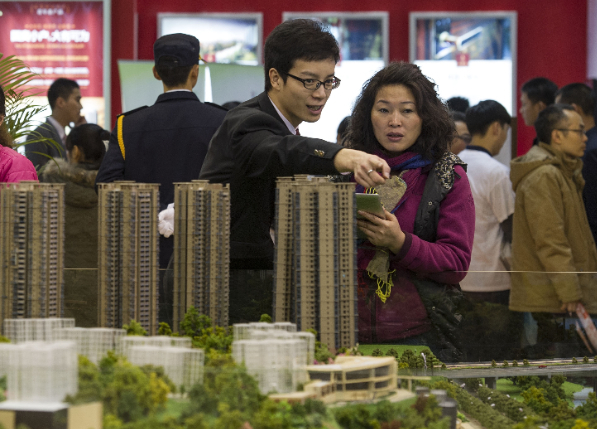 Although China’s GDP rose to 6.8 per cent in the fourth quarter of 2016 and there was a general improvement in both the services sector and domestic consumption, there was a visible retreat in the real estate market. The National Bureau of Statistics (NBS) reported on Saturday that the real estate sector growth dipped from 8.8 per cent in Q3 to 7.7 per cent in Q4. The real estate market accounts for 15 per cent of GDP. By comparison, consumption accounts for 64.6 per cent of GDP. In recent years, the real estate sector was growing at an unfathomable rate, pushing much of China’s GDP growth. But that also meant that prices were skyrocketing. In October, the government introduced new policies, which call for higher mortgage down-payments and a curb on the number of apartments bought. The hope at the time was that could convince investors to change gear and move their investments into the stock markets. More than 20 cities including Beijing, Shanghai, Shenzhen and Nanjing announced these measures. The International Monetary Fund expects the property market in China to continue to cool, bringing down GDP growth to just six per cent by 2018.